PHOTOJOURNALISM: AN INTRODUCTION is a richly illustrated book that encourages aspiring photojournalists to communicate to readers the most appropriate truth fairly represented, though an eye-catching personal style, with technical proficiency, within legal and ethical and taste restrictions, and with an appreciation of some of what came before in photography and photojournalism. 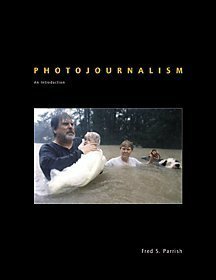 PHOTOJOURNALISM: AN INTRODUCTION reaches out to bring your students the commentary of some of the most talented visually oriented journalistic professionals of contemporary and past times. A wealth of photographs is reproduced to illustrate points, serve as examples of what others have done, and stimulate students to visually communicate in an eye-catching and effective way. Taken as a whole, these images are a portfolio of some of the best photojournalism anywhere.